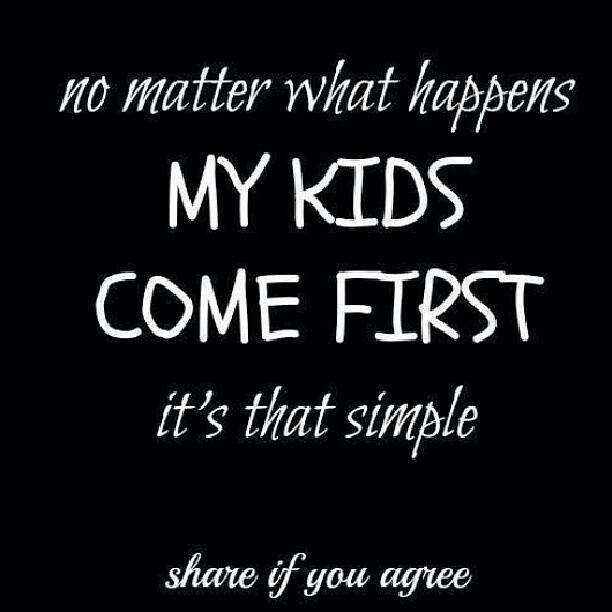 NO MATTER WHAT HAPPENS MY KIDS COME FIRST ITS THAT SIMPLE - ProudMummy.com the Web's Community for Mums. Shame not everyone thinks that when they have kids!!! Not always the case !!! And everyone else too it seems !